There will come a time in the foreseeable future when brokers will be held to a higher level of accountability. Blockchain could offer us an accurate track record of an individual’s integrity by tracking the critical steps of every transaction they enter into. If I want to determine the rating of a medical professional, a quick web search takes me to various rating services which help me choose who I trust to see. In the future, our clients are going to seek more than just a recommendation from friend before deciding who to engage. 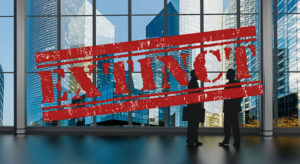 In the not too distant future, a commercial real estate broker will not survive if all he or she is capable of is locating a space for a tenant or buyer. Those Brokers who succeed today and in the future will provide valuable advice applicable to the individual client that will help them make much smarter real estate decisions. Both landlords and sellers will benefit from a creative, strategic marketing plan which can offer much more depth than a commercial listing service. There will always be a place for the broker who is experienced in locating creative client investment options with value add opportunity. Commercial real estate deals are increasing in complexity and will only become more so. A full service broker will advise the client with suggestions for lawyers, appraisers, environmental engineers and financial institutions who are knowledgeable in the specific area of the subject transaction. A good broker needs to know diligent property managers, contractors and surveyors who can assist the client with professional, cost effective solutions. Navigating building codes and bylaws is becoming increasingly complicated for all parties in a transaction. Sloppy due diligence in any one of these critical areas can cause significant financial loss and increase liability risk. It’s really quite simple; if within our practice we cannot add value to our client’s commercial real estate needs, the brokerage business as it is known today will die. Those who embrace change and are passionate about developing new systems and strategies to better serve, will flourish.